As we have already mentioned, Kitchen Demos in a tent are not the easiest thing to tackle. 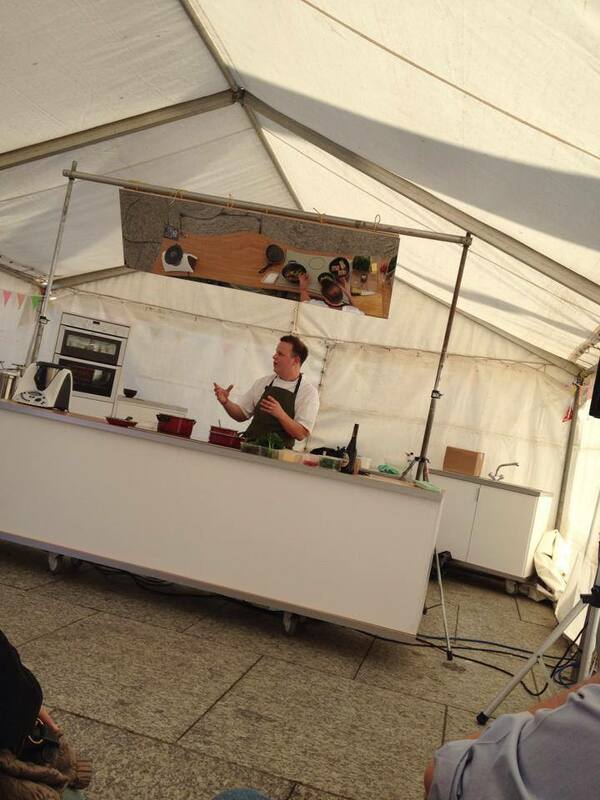 But another brave chef willing to cook in The Great Notts Show kitchen marquee is Craig Floate. 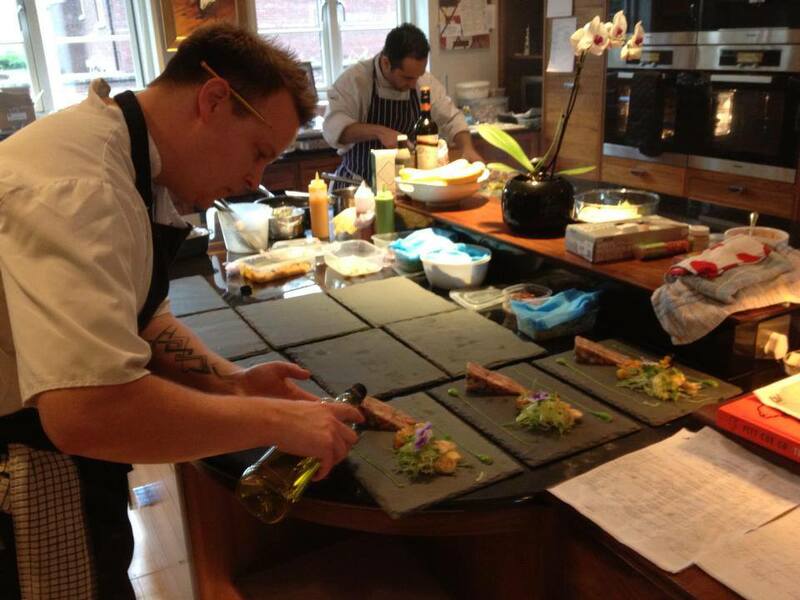 A skilled chef from Nottingham who started out the hard way, waiting tables and working in small restaurants. After working his way up throughout his teenage years he became a Chef de Partie in a good sized hotel trying and testing all sorts of recipes until he had created his own style and flavours. Sounds delicious and perhaps a little ambitious for a kitchen demo, but that just makes it all the more fun right? We spoke to Craig about why he chose these dishes, ‘nothing shouts summer more than fresh British strawberries! We often serve this light drink as a canapé, its so refreshing and bang in season with the zing of fresh basil to compliment the natural sweetness of the strawberries.’ perfect. 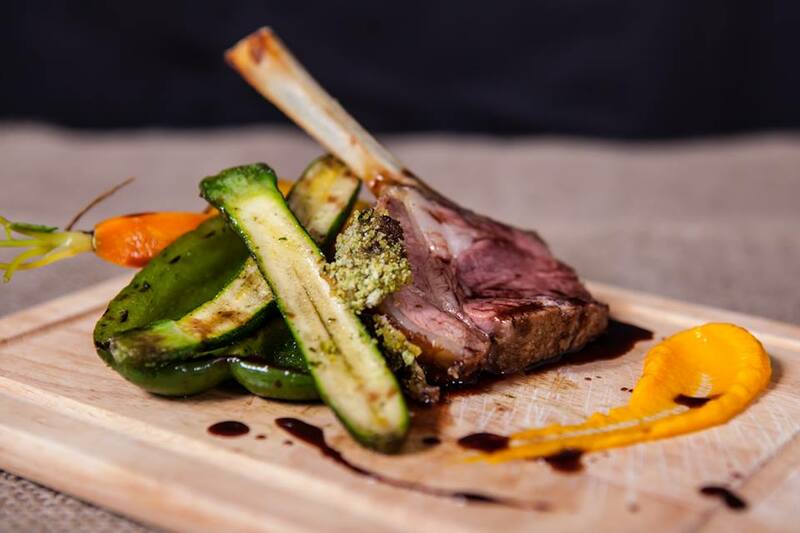 As for the lamb, he chose this as it is another delicious summery dish with vibrant green puree and broad beans with a peppery watercress and sweet succulent lamb. As with Teresa, Craig has his fair share of traumatic experiences with outdoor kitchens, last year he had an oven stop working on him. Scary stuff. He has learnt that ‘ it’s a case of adapting your dish to the equipment you have in front of you. There is always the risk of dropping something on the floor so always remember a back up, electricity can blow, lights can go out, marquees can even blow over! But its good to get out of the kitchen and out of your comfort zone a little too, remember be brave and confident, the rest is out of your hands.’ wise words from a seasoned professional there. Well if that hasn’t wet your appetite, nothing will! ‘Fingers crossed for the sun to come again this year last year!’ We agree Craig, everyone get those toes and fingers crossed please. Have you seen Craig’s kitchen demos before? What do you love about Nottingham? Let us know in the comments or on the social media below. Previous The Music Line Up Day 1! Next The Music Line Up Day 2!